An aspiring voice actor and author that has way too much time on her hands. The books stacked against the wall don't help either. Hey, look at who's alive! And with another book review as well! Amazing. 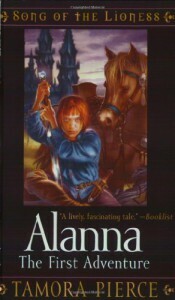 Well, this is a review for the first book in the Lioness Rampant Chronicles, by Tamora Pierce, which is another beloved book series of mine. 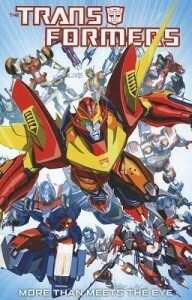 It, like the Transformers Universe, helped me through some tough times that would have normally left me depressed. ...I have a feeling without my robots and books I would have been a sad sad little child. Yo, guess who's still kicking! I'm actually alive, amazingly enough. 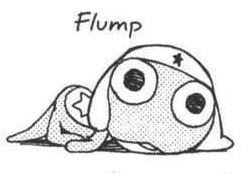 I got rather hung up with finding a job though, found one, and became totally consumed in the process of moving. :l Not to mention changing address, hoping I qualify for food stamps and medicare/cal and the like is totally consuming my time and energy. So, basically, I've been super busy and have had no time for booklikes. Forgive me, but sadly I'm only human. I've read so many books, it's sort of ridiculous. Right now I'm attempting to find all of them and put them on my shelves, and then go through them all and give them the reviews they deserve. I'll reread any that I can't remember 100%, but that's the problem: all the ones that I remember are my absolute favorites that I've reread a gazillion times. It's going to take forever to re-find some books that were less than stellar among all the (many) others that I adore. Such as the Redwall series, written by Brian Jacques. But what I'm trying to say is sorry for all the spam on your dashboard from me finding all those books. I'm going to start the review of this comic series with a blunt fact; I love Transformers. I've loved these giant alien mechs from Cybertron ever since I was first introduced to them as a little brat surfing through cartoons on the the TV. They've helped me through tough times, whether it was the original G1 cartoon, or the less than stellar Michael Bay movies. I simply adore them, it's so ridiculous how attached I am to the glitches, but that simply is the way it is for me. That being said, it's because of this that I'll actually come down a little harder on this series than most might. I know the potential it can have, and therefore I expect the best out of it. So, with that explanation out of the way, lets start the actual review of the first comic the MTMTE series.